Why do I love Bonaire? I moved there for the windsurfing scene. The expansive tranquil bay is my zen spot. I am one with nature on the sea. With my board and the wind, I can fly across the top of the water like a water nymph. I feel the breeze in my face and the warm Caribbean sun on my face..often I am alone for a dawn patrol sail in the summer months….it’s my bliss…this is one reason I love Bonaire! 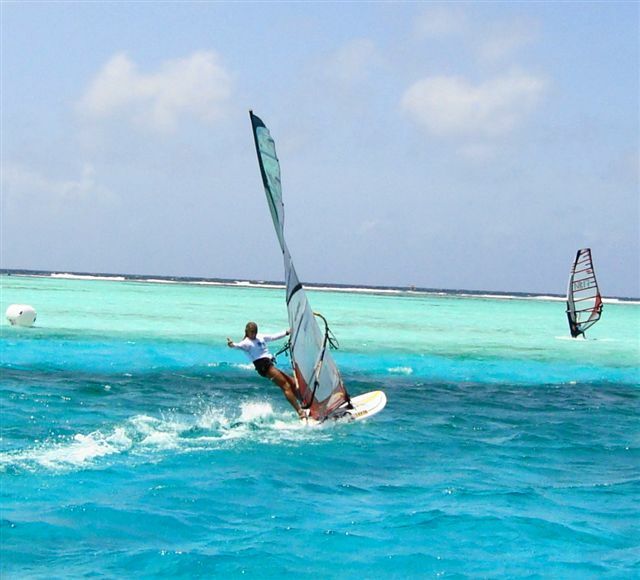 This entry was posted on June 30, 2011 at 10:44 am and is filed under Windsurfing. You can follow any responses to this entry through the RSS 2.0 feed. You can leave a response, or trackback from your own site.